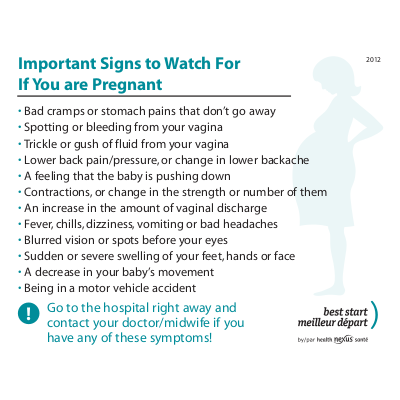 This small image provides critical information on important signs and symptoms to watch for during pregnancy and when to seek help. Print it and post it in a visible spot! Also available in French, Arabic, Chinese (Simplified), Hindi, Punjabi, Spanish, Tagalog, Tamil and Urdu.